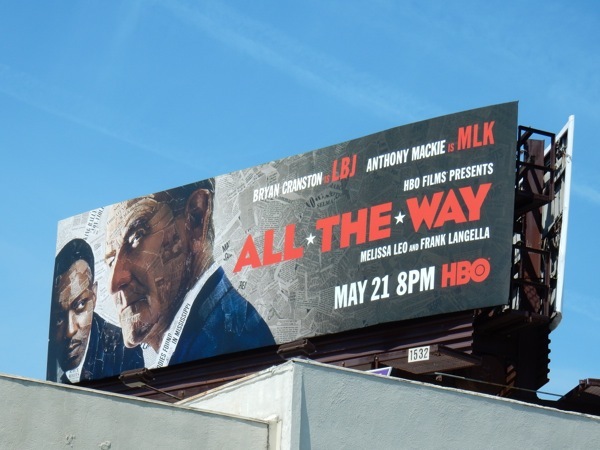 After immortalizing 'Walter White' on the small screen in Breaking Bad, plus an Oscar-nominated performance as Hollywood screenwriter 'Dalton Trumbo', Bryan Cranston's next famous face is 'President Lyndon B. Johnson' in HBO Films All The Way. 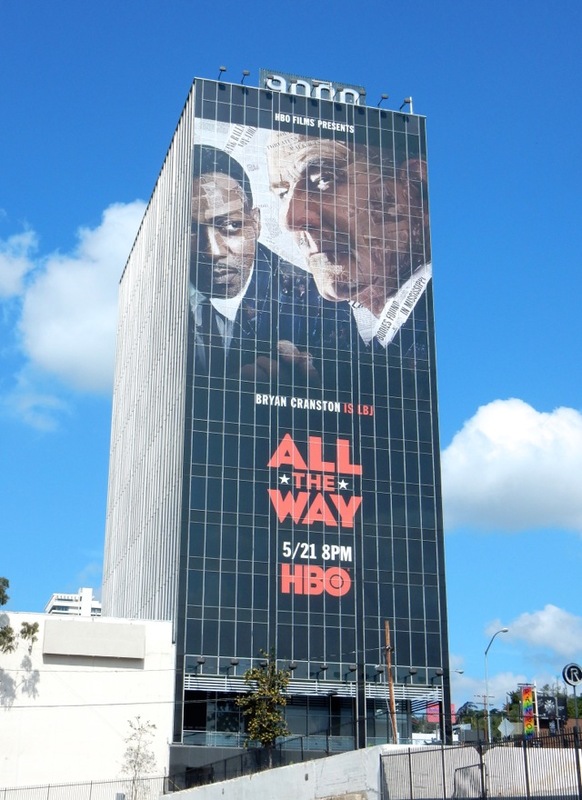 Based on the Tony Award-winning play by Robert Schenkkan (for which Bryan Cranston won a Tony for his Broadway debut), the movie follows LBJ as he takes office following the assassination of 'John F. Kennedy' and has to work on the passage of the Civil Rights Act with 'Martin Luther King, Jr.' (played by the high-flying 'Falcon' himself, Anthony Mackie). 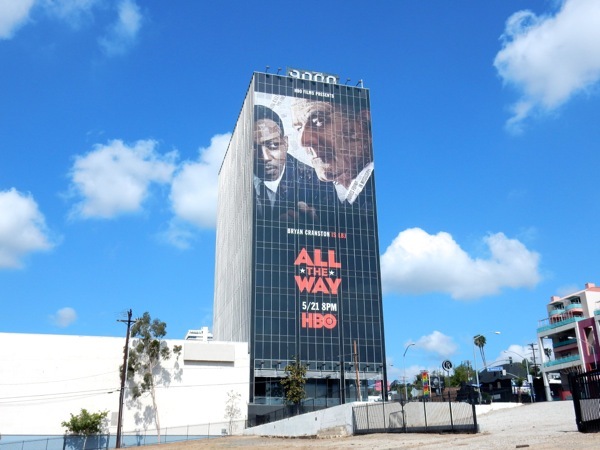 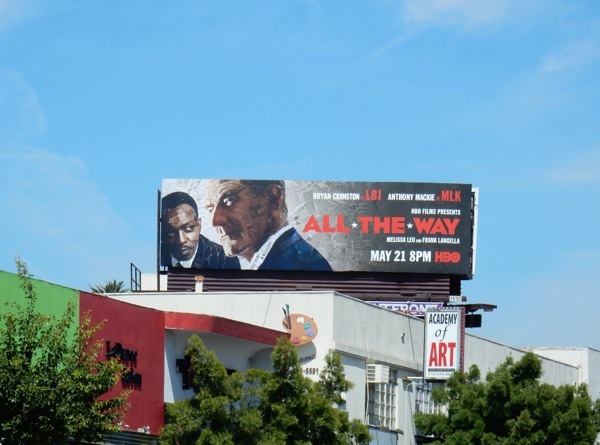 The eye-catching collage landscape billboards for the All The Way were first snapped above Sunset Boulevard on April 27, then later along Highland Avenue and Westwood Boulevard through May 3, 2016. 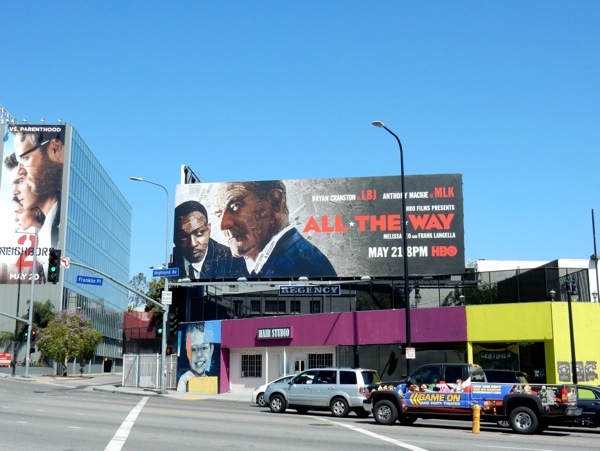 Meanwhile the giant-sized portrait version was photographed towering over westbound traffic along the Sunset Strip on May 8, 2016. 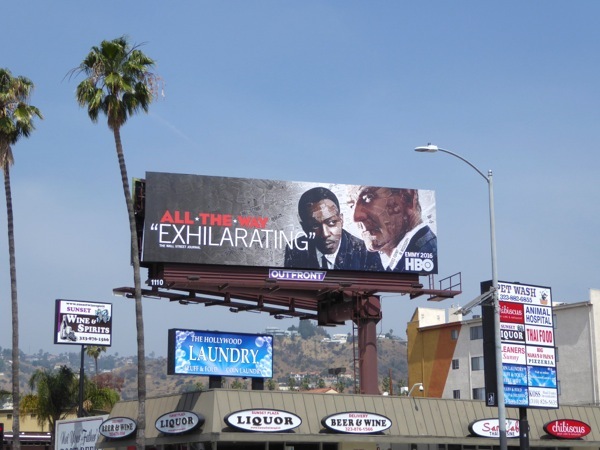 If you're an admirer of Bryan Cranston be sure to also check out these billboards for Breaking Bad, whilst if you're a fan of Anthony Mackie you can also enjoy these Pain & Gain movie billboards and these festive film billboards for The Night Before and these cool Captain America: Civil War movie billboards. 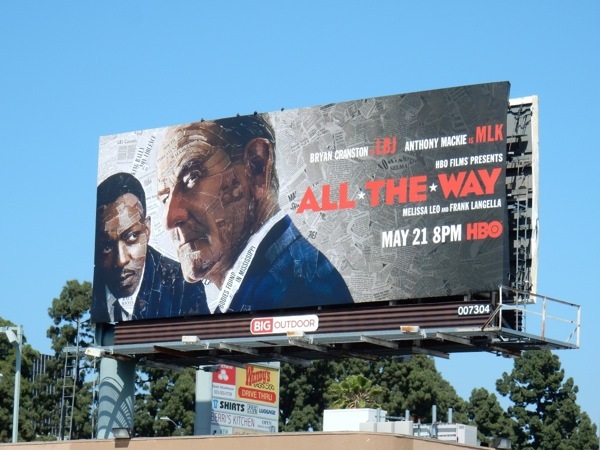 Let's wait and see if this historical tale will go 'All The Way' and win any industry awards in the future. 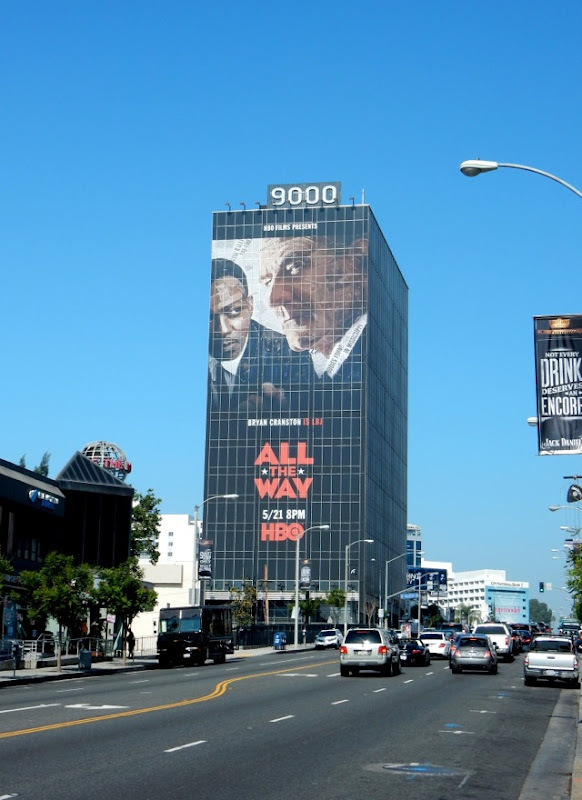 UPDATED: Here's also the Emmy consideration billboard design for the HBO film snapped along L.A.'s Sunset Boulevard on June 8, 2016.